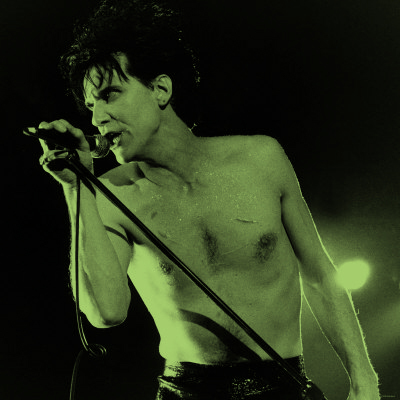 Lux Interior (Erick Purkhiser) was born in Stow, Ohio (just down the road from where Lori grew up) and raised in Akron. Apparently he was a big fan of Ghoulardi: the legendary late-night, Cleveland television personality and movie host. 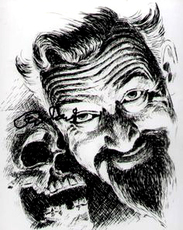 The band’s 1997 album Big Beat From Badsville is dedicated to Ghoulardi. Another album from the same year was called Stay Sick after Ghoulardi’s trademark sign-off. s to dance and jump around—no doubt earning them a few extra zaps of ECT after the show. The whole thing was filmed and looks like a grainy, punk-era version of Johnny Cash’s well known Folsom Prison concert. ﻿Lux Interior: zombie punk, and macabre pyschobilly ghoul was 62 when he died yesterday in Glendale of a pre-existing heart condition. 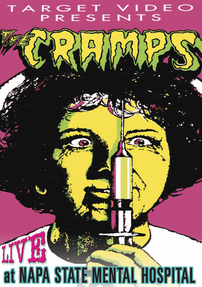 He and The Cramps helped pioneer a sub genre of trashy rock n’ roll that influenced countless bands. A tad redundant at times, but highly entertaining to the end.